1- I just do it (the wake up thing! )there’s no option. 2- What mom goes to bed early? 3- I get tired yes, never bored and if I see I’m getting bored at cycling, I’ll set a goal sooner to keep motivated! 4- It NEVER gets easier: You want to be better always, you want to ride longer and more challenging rides, you want to ride with stronger cyclists, you want to descent faster or climb stronger… you are tired as everybody else, you get sick, get unmotivated, get injured…. it never gets easier…. it’s just that there’s no other way of life for you, your discipline is bigger than your motivation and your will. Training is like eating, resting, working, breathing…. And to the last question on why do I keep cycling??? Cycling is such a wonderful and powerful metaphor of life!!! Everything I’ve learned through cycling has helped me overcome all kind of situations, setbacks or problems in my life. At 18 years old, I went to the gym and remember looking everybody around me: most of them hated been there. So why do they kept coming??? Was it for the calorie burn? The pursue of the perfect and unreal body? I mean, some seemed to enjoy it but very few…. that day I said to my self I needed to get out there and do something different if I wanted to stay in shape and do some exercise for the rest of my life….THERE HAD TO BE MORE THAN JUST PURSUING A NICE BODY!!! It couldn’t be just that! Tired of feeling empty and unmotivated, the next day, I decided to grab my brother’s mtb bike and rode solo to the next province! Rode through scary roads, lots of cars, I didn’t knew nothing about changing tires or any mechanical issue neither…. but none of that stopped me and reached my destiny at 20kms from home…. I couldn’t believe it! There I was, feeling great and I was actually enjoying every single minute of it!! !… I couldn’t believed I had to pedal all that back home too! Oops! (A bad distance calculation … usually a rookie mistake! ) Arrived home, with 40 k on the bag, almost 3 hours, exhausted but loved it and never left cycling again!!!! The next day, all the process of learning everything cycling related started. I went out almost daily. Riding same old bike, same fitness clothes, old helmet, no cycling shoes or Oakleys but I wanted to see and ride where all elite and pros trained. Months passed, got my first bike, a cyclist from a pro team gave me a jersey – I had no money for one after getting my bike- and some cycling teams and clubs adopted me as they saw my commitment and my thirst for knowledge regarding cycling… the cycling community received me with open arms and I felt blessed, thankful and motivated! That day I grabbed for the first time my brother’s bike, I got hooked, infected, addicted…. however you want to call it and I’m looooooving it! Guilty as charged!!!!! At such a young age, it never crossed my mind that cycling would give me back sooooo much: character, joy, discipline, freedom, strength, plenitude, peace of mind, appreciation for life and nature, health, a healthy relation with food and my own body, friends that become more than friends, they become family, some become even your soulmates…it’s endless!!!! So many years behind bars and yet, cycling keeps giving me back, keeps teaching me, keeps molding my spirit, keeps being my drive, my passion! The most wonderful part was that through cycling I discovered my calling, what sets my soul on fire! I discovered that I love to inspire and motivate others to reach their potential, to go that extra mile, to believe they can achieve amazing things if they want and are willing to work hard for it. I find it full filling to leave your mark on someone’s life…cycling has been the bridge to reach people…. didn’t planned, never thought about it, it was something that came naturally and grew stronger every time I had the opportunity of doing it. I believe with all my heart that “we raise by lifting others”. That’s my drive! My life has been around my family and bikes since then. Been a cycling mom and wife can be exhausting but I’ve found in my kids and husband all the support I need and more…. raced triathlon for 8 years but after my second child, double training sessions were impossible… so I kept with my one and only love: cycling since 2004. Still not easy task riding for 4-7 hours and then do lunch or study with your kids along with work and house chores but it sure has helped me become organized and disciplined…. I just sleep a lot less than other cycling women that are not moms…. LOL. So, there I was, from sports hater to obsessed cyclist and indoor cycling instructor. I became an Spinning Certified Instructor and taught for 8 years at the best gyms at my area. It was pretty challenging but I’ve always aimed high, always challenge myself so it was very motivating too. I believe you must raise your standards always!!! You must be with others that are better than you…. watch them, learn from them…. if you are the stronger rider….. search a new group because you ain’t growing there. Those gyms had the best coaches and instructors back then, so as I studied to become one, I went to all the classes I could to learn. Then I worked at an Indoor Cycling facility with smart trainers….. a whole different community, even more challenging as I had from elite athletes to people who never exercised or ride before. Every class was an opportunity to leave a mark on every single person that came….how POWERFUL is that??? Those people give me so much back, I have to give them more than just a good training session. I’ve been blessed to work on what sets my soul on fire! I’m blessed I get to ride my bike and full fill my dreams. I just hope I can give back to the people that surround me as much as they do! 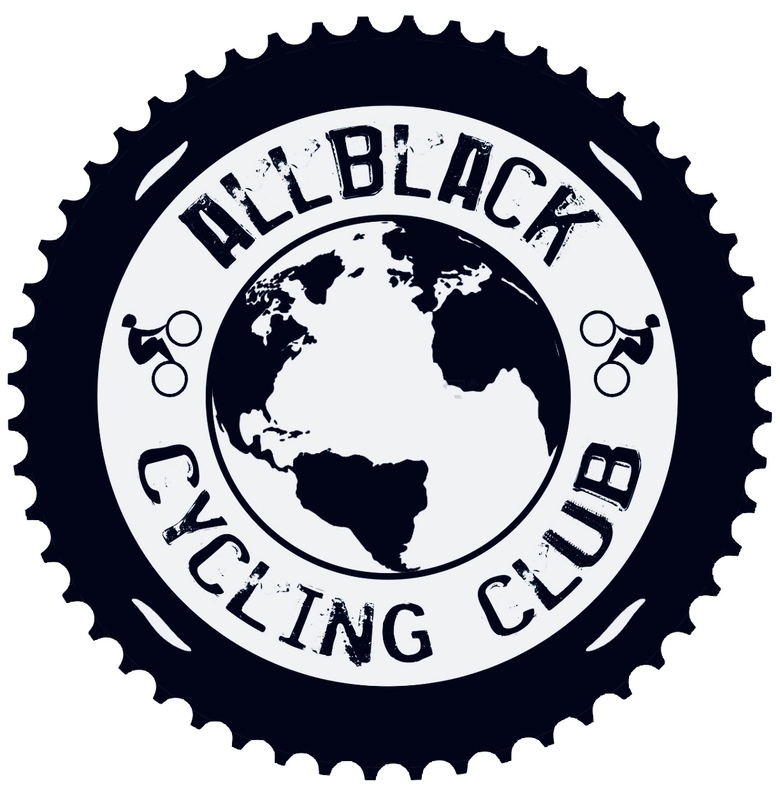 Being part of @allblack.cc opens a way for me to give back a little and thats why I feel honored to be part of this community.This year I’m about to start my studies for becoming a cycling coach, I also have my cycling goals and cycling trips to keep motivated! At 41 years old, feels a bit scary to go back to college but gotta keep on challenging myself. At this point of my life, with grownup kids, I finally have the time for doing it….so I feel very excited about it!